At the 2013 IPCPR Trade Show, L’Atelier Imports launched the new L’Atelier Extension de la Racine line. 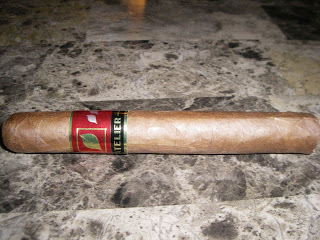 This is a cigar that we have been tracking for several months leading up to the trade show. 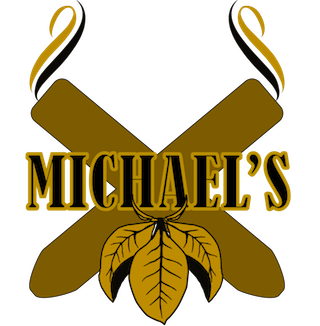 The cigar was only made available to those retailers that actually were in attendance at the trade show and placed an order with L’Atelier. 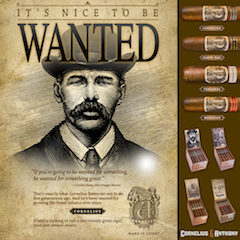 The cigar has been released in one size – the ER13 and it is intended to be a one time limited release. 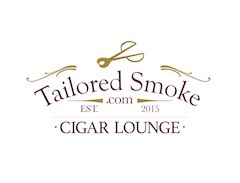 L’Atelier Imports was launched in 2012 as a joint venture with Tatuaje’s Pete Johnson, K.C. Johnson (Pete’s brother), Sean “Casper” Johnson (no relation), and Dan Welsh (owner of New Havana Cigars). Now in their second year, L’Atelier Imports has been hitting on all cylinders with their 2013 releases. The L’Atelier Extension de la Racine ER13 proves to be yet another outstanding release for the company. Johnson also told us the plans are to release a different L’Atelier Extension de la Racine each year as a special IPCPR release. He mentioned that each year there will be a different size. Once the size is sold out, it is sold out. Johnson also told us orders for the ER13 would be fulfilled in a “first in – first out” order. The first people who ordered it at the show will be the first ones to get it. Let’s take a closer look at the L’Atelier Extension de la Racine ER13 and see what this cigar brings to the table. 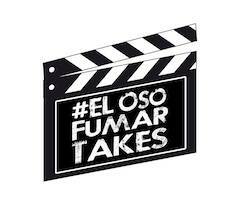 Since this cigar experience was based on a pre-release sample, we will default to our “pre-review” format to share our thoughts and perspectives. 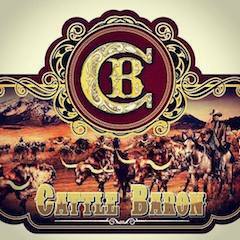 Once the cigar arrives at retailers, we will revisit this cigar and provide a final assessment rating and score. The L’Atelier Extension de la Racine marks the first cigar under the eponymous-titled “L’Atelier” flagship line to use a Nicaraguan wrapper – in this case a Sun Grown Criollo ’98 one. 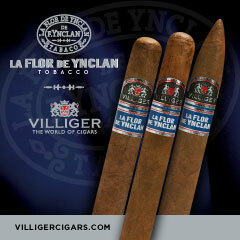 Consistent with the other releases under the L’Atelier line, the blend uses Sancti Spiritus tobacco. This has become a staple of the eponymous-titled line. Like the L’Atelier Maduro, the Sancti Spiritus is used for the binder, but with the Racine this is a double binder. The 2013 release of the Extension de la Racine – the ER13 comes in a toro measuring 5 7/8 x 52. This is the only size for this year, but as mentioned above the plan is to release a different size each year for the line. The Extension de la Racine’s sun-grown wrapper has a medium brown color to it. The wrapper has some darker speckles on it. While the wrapper has a slight oily sheen to it, the surface of the wrapper has a somewhat rougher feel to it. There are some visible veins and visible wrapper seams. The band of the L’Atelier Extension de la Racine has a variation of the color scheme from the core L’Atelier line. For the Racine, the color scheme is black, gold, red, and silver/. The top and bottom of the band have a gold trim to it. The majority of the band has a red background. The band has the gold L’Atelier logo in the center of it (a gold leaf surrounded by a gold square). There are four silver leaves that surround the logo to the right and left. 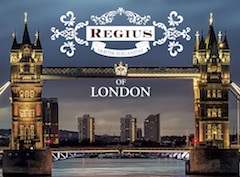 Below the white background is a black stripe with the name “L’ATELIER” in gold font. For my smoking experience of the Extension de la Racine, I went with my usual choice of a straight cut. Once I successfully removed the cap, it was on to the pre-light draw. On the cold draw, I detected notes of natural tobacco, cedar, and even some caramel. Overall, I was considered this to be a very good pre-light draw. It was now time to light up my Extension de la Racine and see what the smoking experience would deliver. The L’Atelier Extension de la Racine started out with a mix of pepper and natural tobacco. While this cigar is made by the Garcia family at the My Father Cigars factory, I really didn’t get that traditional Garcia family pepper blast found at the start of their cigars. By the five percent mark, the pepper dialed back into the background and was joined by some grass notes. 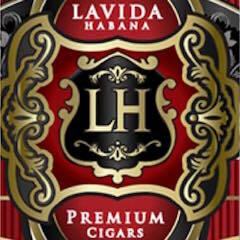 This left the natural tobacco notes as the primary flavor. While the pepper had dialed back early on, it remained sharp on the retro-hale from start to finish. As the Racine moved through the first third, I also detected some caramel sweetness in the background. This and the grass notes alternated coming into the forefront joining the natural tobacco. The Racine was definitely doing a good job at demonstrating complexity early on. By midpoint the caramel sweetness and grass notes seemed to both transition to more of a toasted marshmallow sweetness. This was not an overly sweet marshmallow flavor, but it was effective. In the early stages of the 2nd third, the marshmallow sweetness became the primary flavor. The natural tobacco and pepper notes remained secondary. In the last third of the Racine, the sweetness receded and the pepper notes moved into the forefront. The end of the cigar was spicy. They were a couple of harsh notes, but overall the Racine closed out nicely. The resulting nub was firm to the touch and cool in temperature. The Extension de la Racine scores quite well. The burn line remained straight room start to finish. The resulting ash was tight with a nice white color. There was a little flowering early on, but for the most part, the Racine didn’t really have any problems with this as the smoke progressed. The burn rate and burn temperature were ideal. The draw was outstanding. This made the Extension de la Racine an enjoyable cigar to puff on throughout the smoking experience. For the cigars under the L’Atelier flagship line, I have not found any of them to be nicotine bombs. The L’Atelier Extension de la Racine falls into this category. I assessed it to be a medium to full strength cigar. As for the flavors, they have some nice depth to them. The flavors also fall into the medium to full-bodied range. The strength and body both counter each other nicely – creating a nice equilibrium and balance between the two attributes. As mentioned at the start of this assessment, L’Atelier Imports is having as good a year as any company. The releases of the L’Atelier Selection Selection Speciale, L’Atelier Maduro, and now the L’Atelier Extension de la Racine prove this. 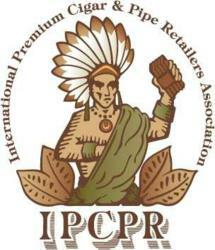 Many retailers have said they wanted a good reason to go to the IPCPR show and this certainly provides one. 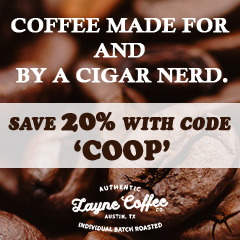 L’Atelier Imports is delivering an outstanding cigar with the Racine. It has excellent flavor, nice complexity, and terrific construction. I’ve found all of the L’Atelier flagship cigars as being cigars that can both be enjoyed by novice and experienced cigar enthusiasts. 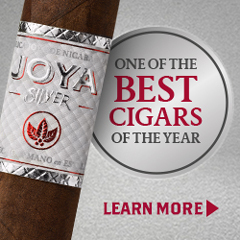 As for myself, this is a cigar I would definitely reach for and smoke again. It is also one I would consider a box purchase of. 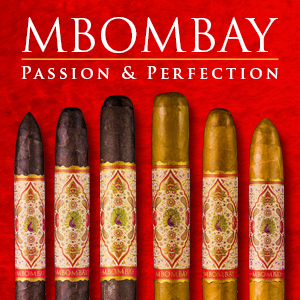 Source: The cigar for this assessment were provided by L’Atelier Imports at the 2013 IPCPR Trade Show. The samples received were initiated by L’Atelier Imports order to provide feedback. 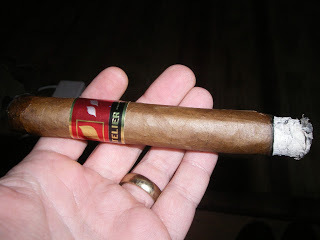 Cigar Coop is appreciative for the sample, but in no way does this influence this write-up. I just picked one up and am excited to smoke it soon.